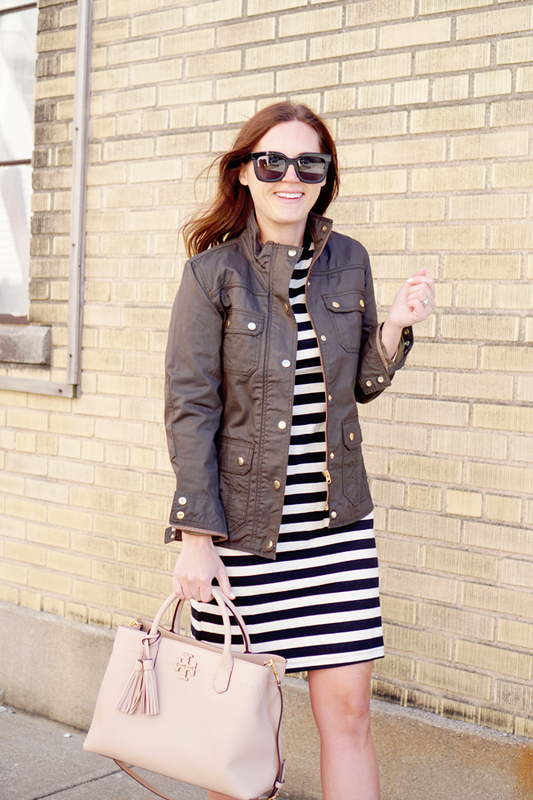 my everyday style: a striped dress 3 ways! 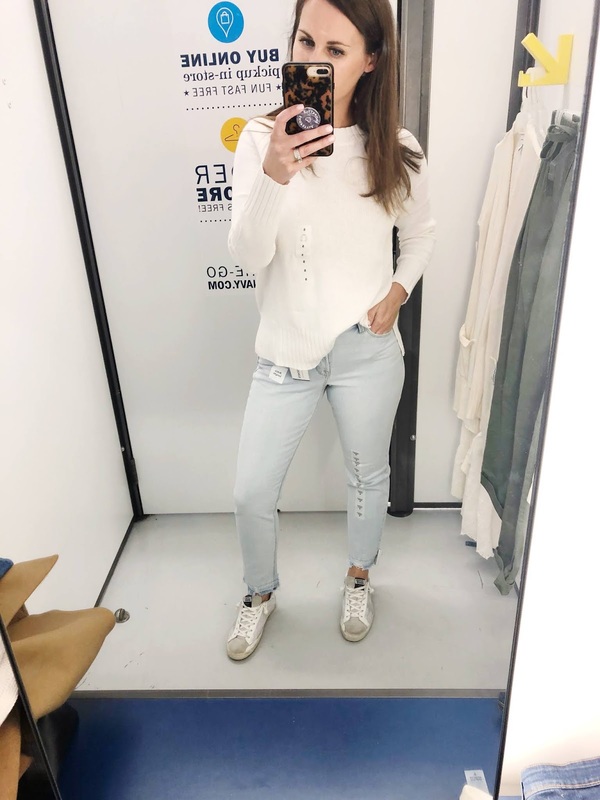 When I'm shopping for clothes I am always mentally running through how I will style the piece, how I envision it fitting in with other clothes in my closet and what types of days/events the piece will work for. I tend towards super versatile and neutral pieces - I mean if you've spent a minute around here you would see that - because they just mix and match so easily. I LOVE clothes and I LOVE shopping but I also don't have a ton of time to come up with outfits everyday. I just want those easy pieces that can instantly be made into outfits. When I found this striped dress it was love at first sight. 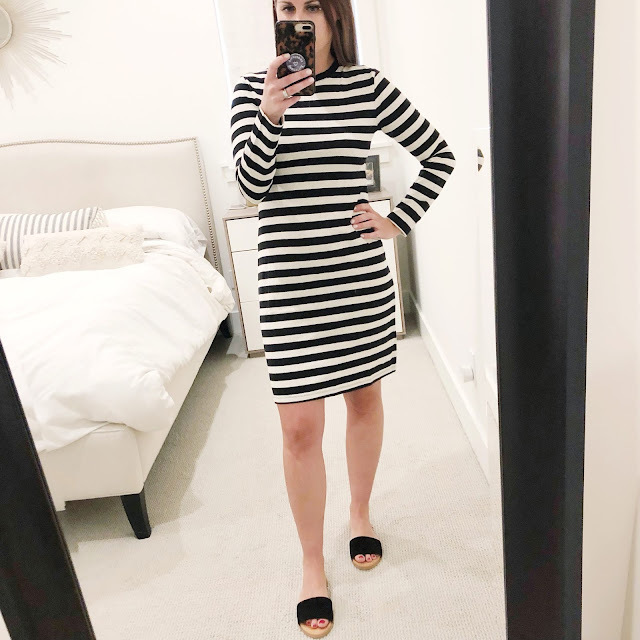 First off, I love a long sleeve dress - and they can be surprisingly difficult to find. Secondly, you know I can't resist stripes. 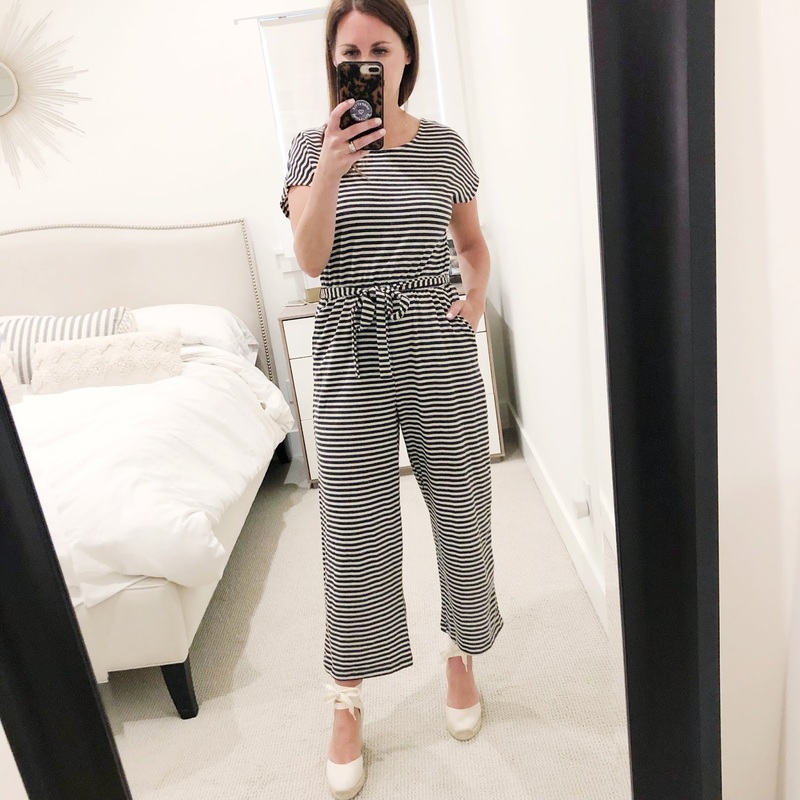 Plus I love that it's fitted while not being too tight and the length hitting right above the knee is an easy length for moms to pull off for everyday wear. So this dress is checking a lot of boxes while still being super affordable. 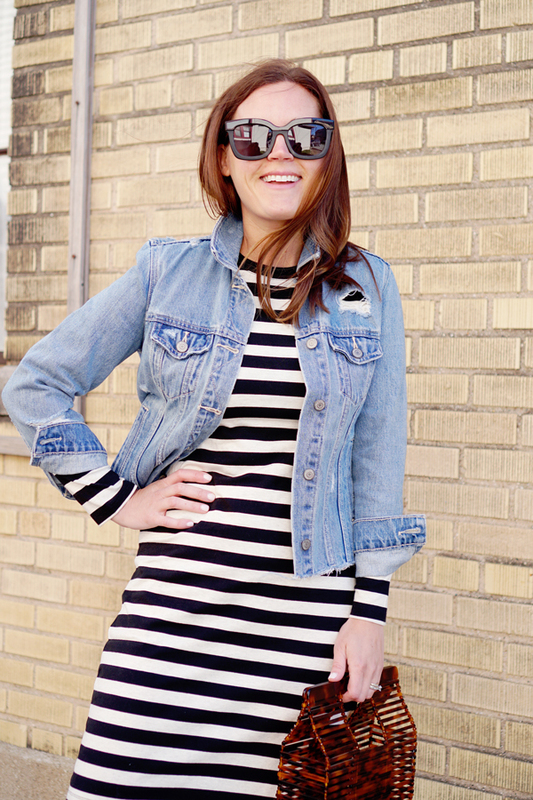 Here I layered and styled this striped dress into three different looks. Spring is all about layers in the midwest - one minute it's cold and rainy and the next it's sunny and warm, only to start the rotation all over again. This dress is 100% great on it's own... but in case you want an extra layer, it's really easy to layer up as well. 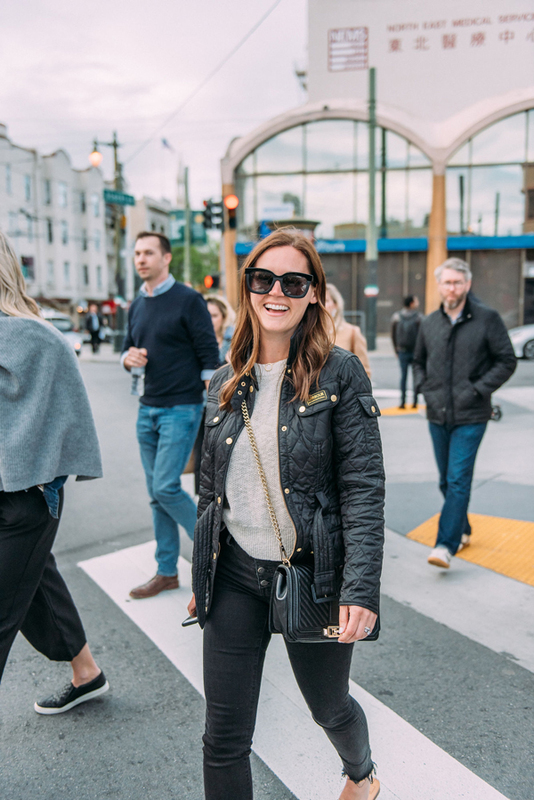 I recently had the amazing privilege to hang out for a few days in San Francisco with the ShopStyle team! We had an amazing couple of days and I thought I would share today why I was there and what we did. I often get asked how bloggers make money and the answer is that there are LOTS of ways. But the main source of income I depend on to run this blog and continue to create content for you all day after day is affiliate income. That simply means that when/if you click on an item I feature and buy that item, or other items from that retailer, I make a small commission. And how does that link tracking and sales tracking all work? One word: ShopStyle. 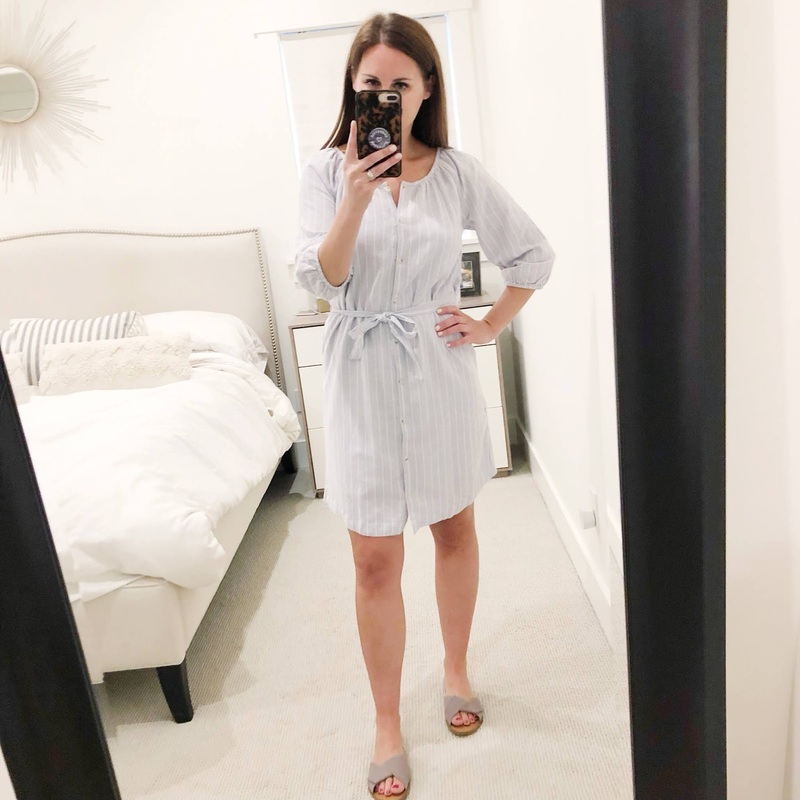 Their blogger program called ShopStyle Collective helps me create trackable links, tracks my sales and clicks and ultimately has helped me turn this blog into a career. They also make this blog easy to navigate with tools like scrolling product widgets, the tech behind my "shop my Instagram" page and so much more. 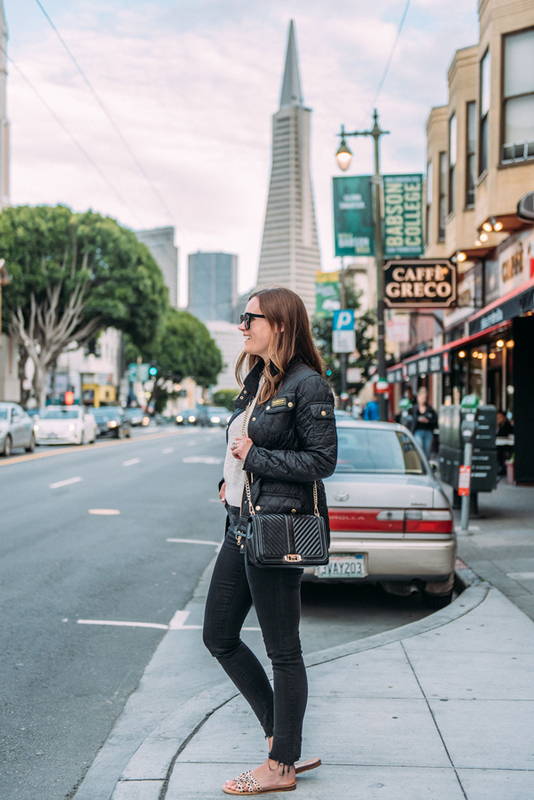 In addition about 90% of my sponsored posts here on the blog are brokered and brought to life by the amazing Shopstyle team. To say they are my most prized business partner is an understatement. As a "solo-preneur" it's simply the BEST to know that a team of people are behind the scenes helping to make the entire thing WORK. 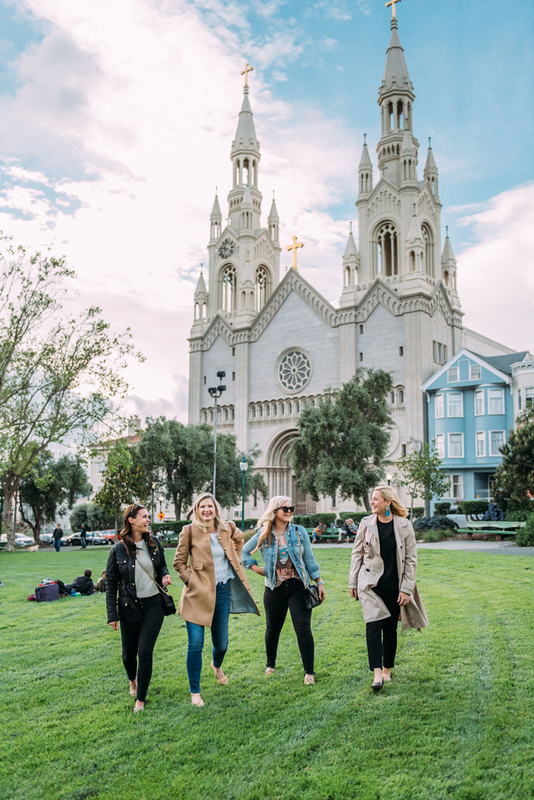 The Shopstyle team recently invited me and a few other bloggers to San Francisco to where they are headquartered - it was so nice to finally meet all the people I email with in person, to brainstorm and talk shop, to sit down with some awesome brands face to face and finally, to have a little fun! It's was an amazing couple of days! 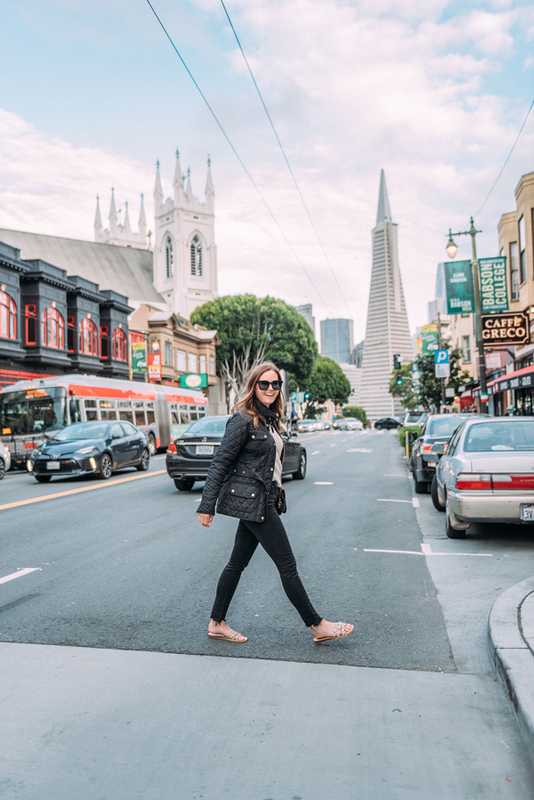 We first started out with a walking food tour of the North Beach (think: Little Italy) neighborhood of San Francisco. It was a fun way to break the ice and walking between courses of Italian food is probably the best way to eat Italian food! We indulged and then walked (most) of it off! The following morning we were invited to the Shopstyle offices to meet one on one with brands. I had the amazing opportunity to sit down with Sephora (I mean, wha!? A girls dream! ), Everlane (you all know I am obsessed with them and their ethical practices in fashion are some of the best in the business!) and Lole (an amazing fitness brand with an awesome mission). I was literally pinching myself the entire trip but especially for the opportunity to face to face with brands that I know and love to talk about blogging and brand partnerships and share some laughs too. Then that evening we were all treated to a private suite for the Golden State Warriors versus the Cavaliers basketball game. 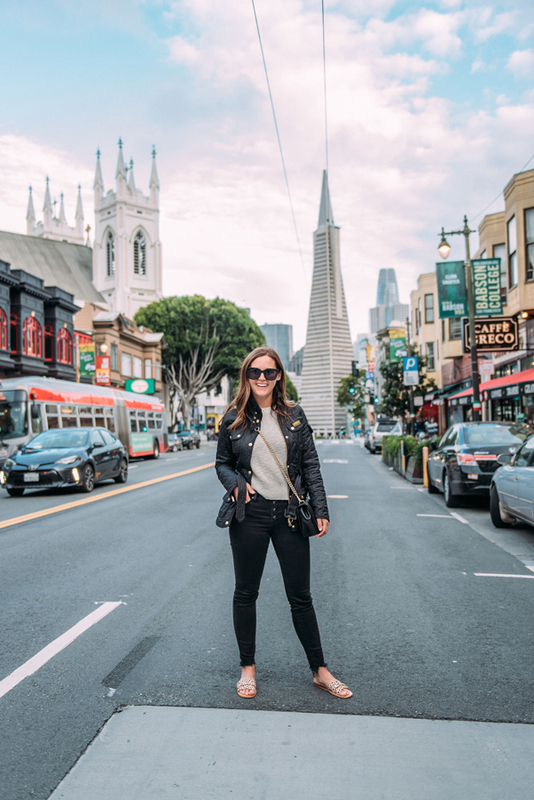 The whole trip was such a whirlwind and even now sitting down to think about it I still am in awe that I was able to be there and spend time with some other AMAZING bloggers and the endlessly sweet and fun ShopStyle team. Like, me!?! I am invited!?!? So much in my career is done on my own, I sit at my computer by myself all day, I brainstorm by myself all day. Sometimes I will run an idea past my husband or talk business strategy with him but it's very much a job that is done in solitary. Just me and my computer putting ideas out into the world not knowing how they will be received or if anyone really is reading (hello, is this mic on?) I will never fully wrap my brain around the extent to which people value this blog, read this blog or incorporate it into their everyday lives. It still delights me when a brand values the work I do for them or even wants me to work for them at all. It always takes me off guard when people introduce themselves to me in the store saying that they follow along on my blog or social media. 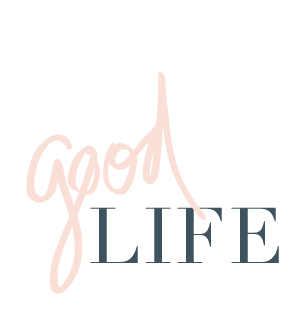 I guess what I am trying to say is that everyday even I am amazed at what I have built here with this blog and I am thankful to amazing companies like ShopStyle that make it all come together. And I'm equally thankful to YOU gals, my amazing readers for inviting me into your lives, letting me (hopefully) inspire your wardrobes and for your endless loyalty. Here are some photos from the first evening on our walking tour... 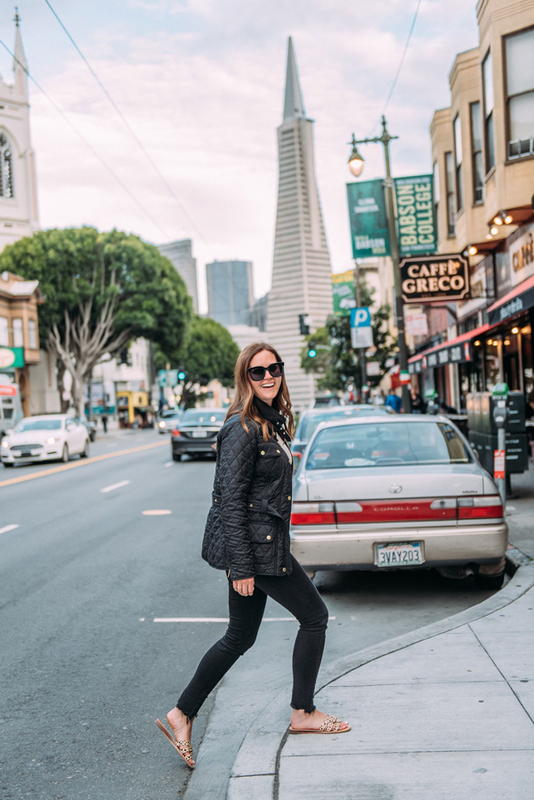 I'm already craving a trip back to San Francisco! What a beautiful city! above: Three of the other lovely ladies that were on this trip - make sure to give their blogs a follow! It's that time again! Time for a fun Instagram round up! 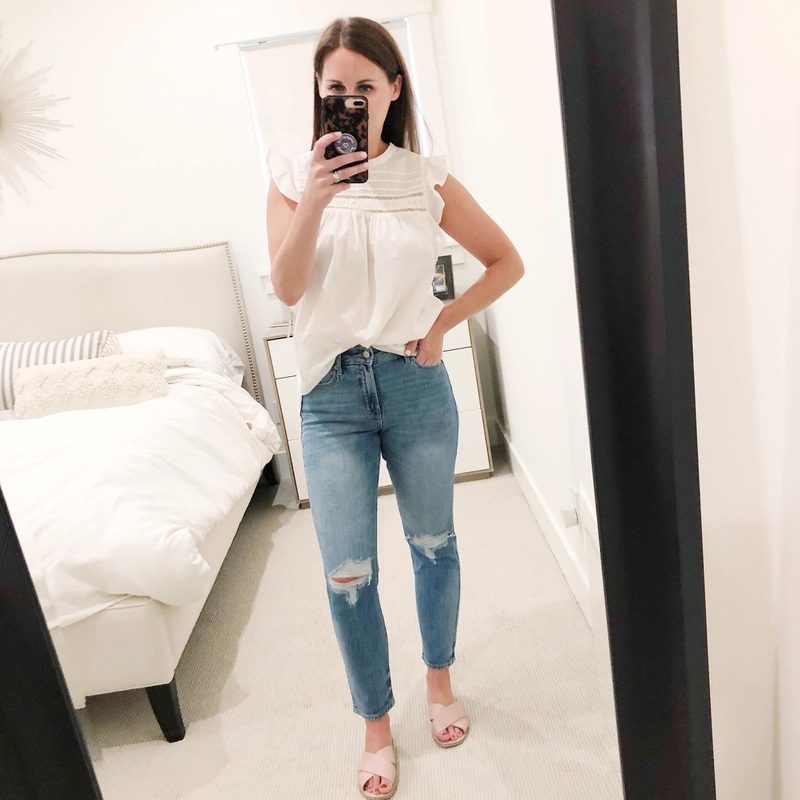 Today I've got lots of spring outfit inspiration... including what I've been wearing and what I've been loving. 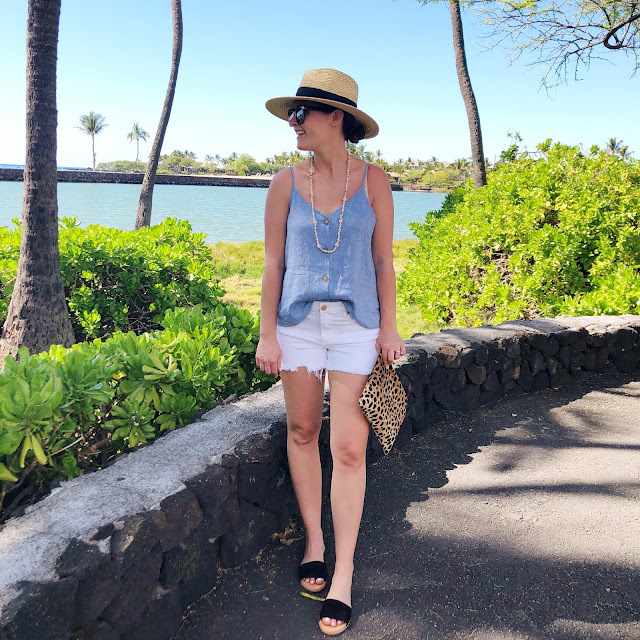 I've also got a few fun outfits I wore on spring break in Hawaii. If you need spring outfit inspiration... I've definitely got some for you today! And if you don't already follow me on Instagram... make sure to follow along on the fun and the behind the scenes action there. above: These linen blend sweaters have been my GO-TO for spring. They are perfect for those days that are kind of warm but kind of not... and they are a great price. I love them paired with these jeans that have also gotten a lot of wear recently. These jeans are an affordable way to try the high-waisted, straight leg "mom jean" trend. Shop the pieces: beige sweater, black sweater, light jeans, distressed jeans, color block espadrilles, black sneakers, tortoise sunglasses, black sunglasses. above: Our first day in Hawaii was the best. We laid by the pool all day then walked to dinner. 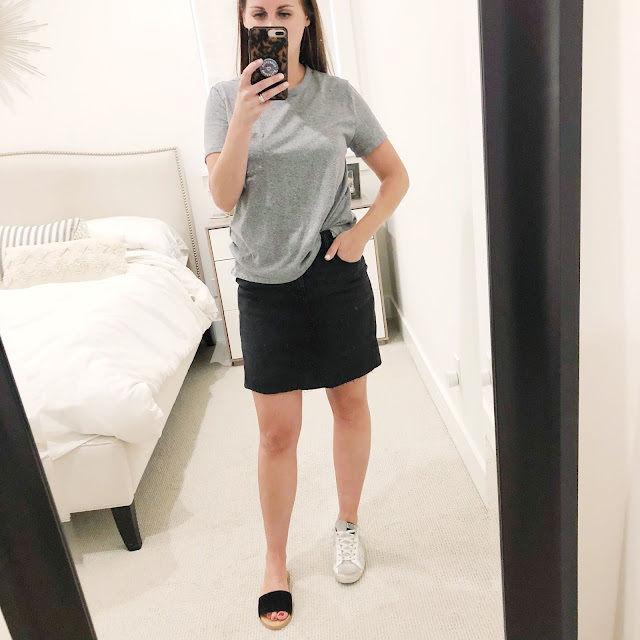 This easy outfit combo was perfect for how HOT it was that day! Shop the pieces: hat, top, shorts, sandals, leopard clutch. above: We've had so many gloomy spring days with rain! Ugh! Nothing beats sneakers and a sweatshirt for those rainy spring days. 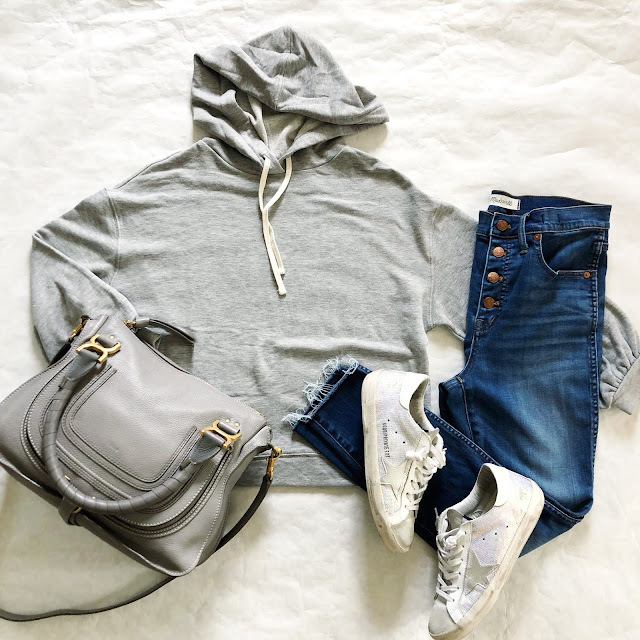 Shop the pieces: sweatshirt, jeans, sneakers (similar or less expensive option), bag (less expensive option). 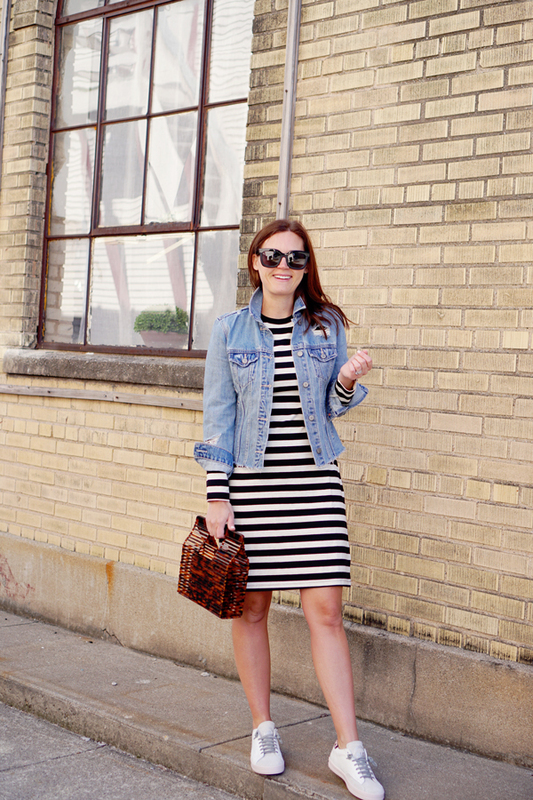 above: I am a sucker for a striped dress and especially one with long sleeves! 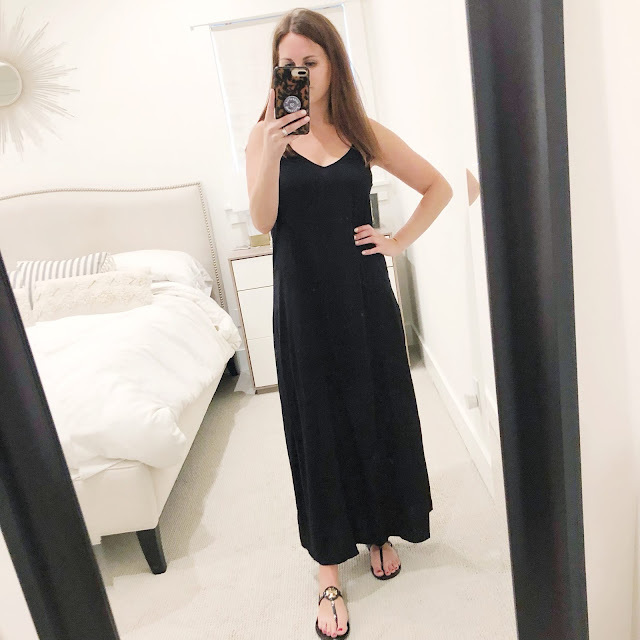 This dress is simple and comfortable and great for any busy mom. I wore it recently with sneakers and a denim jacket... although it would look cute with a utility jacket or moto jacket too! 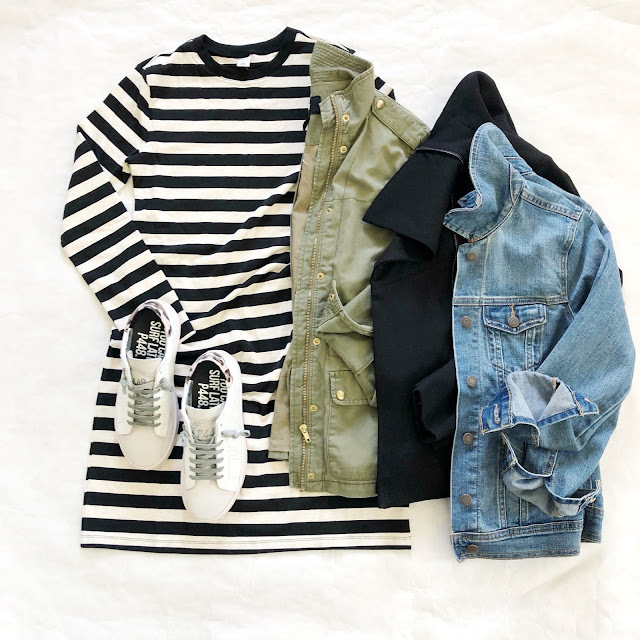 Shop the pieces: dress, sneakers, similar utility jacket, moto jacket, denim jacket. 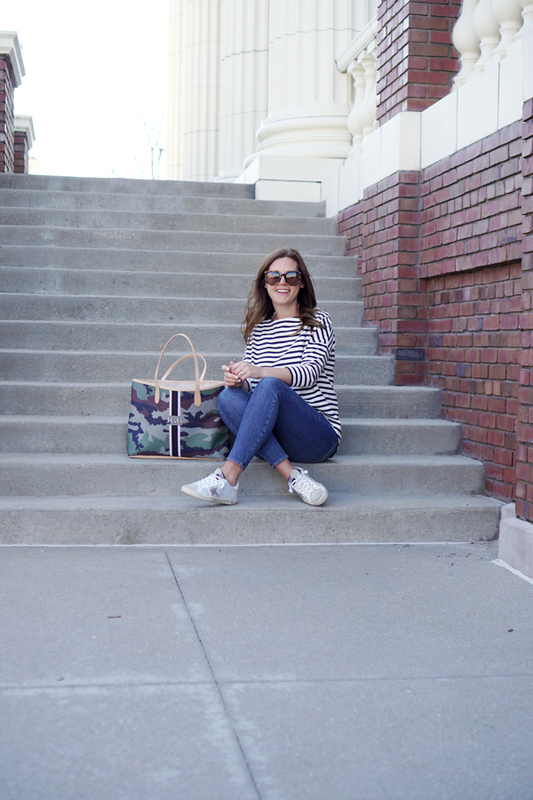 above: My standard spring outfit: white jeans & stripes. It's a perfect combo for whatever the day calls for! 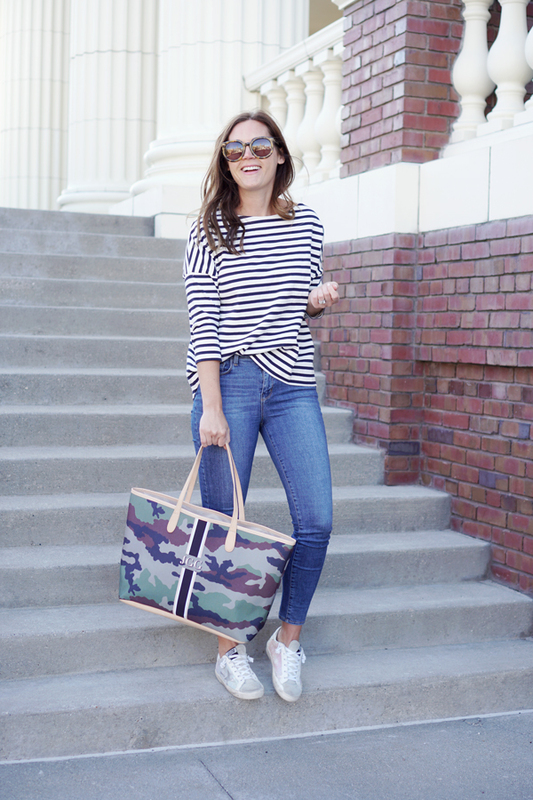 Shop the pieces: striped top, white jeans, espadrilles, tote. above: Never not wearing denim on denim! 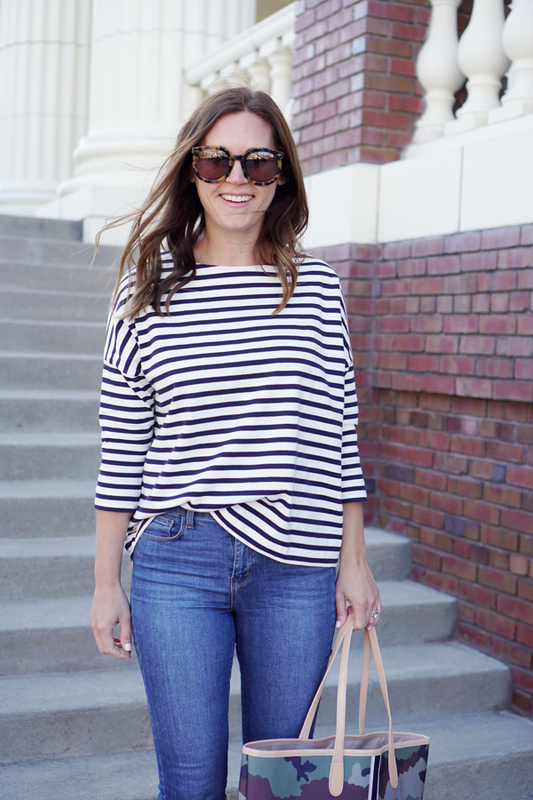 I'm no-way ditching my black jeans for spring. They are perfect with a graphic tee and denim jacket. This outfit is perfect everyday mom-style. 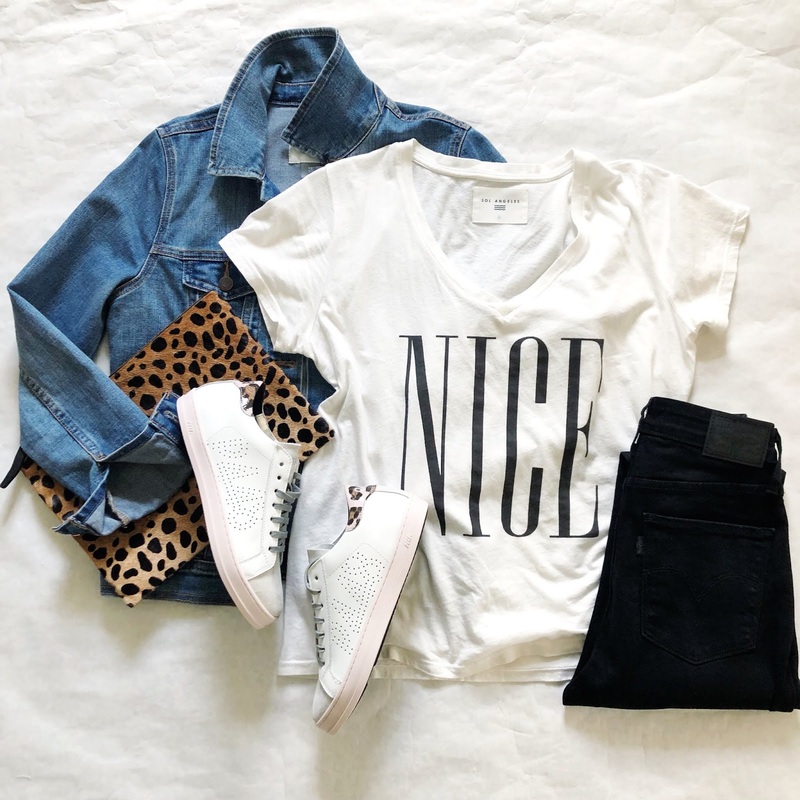 Shop the pieces: denim jacket, graphic tee, leopard clutch, sneakers, black jeans. This post is sponsored by Walmart and ShopStyle. All opinions are my own. Thank you for supporting the brands that support this blog! I don't know about you but I am READY for dress season! There is nothing easier than throwing on a simple dress to go about your day... for errands, for brunch, for working from home, or dressed up for date night. Popping on a dress is the easiest way to feel pulled together yet comfortable all day... especially when it involves an adorable polka dot dress like this one! I love the ruffle details which are so cute and feminine for a date night or girls night, but paired with a denim jacket (under $20!) this dress is also just as perfect for a day out with the family or running a few weekend errands. 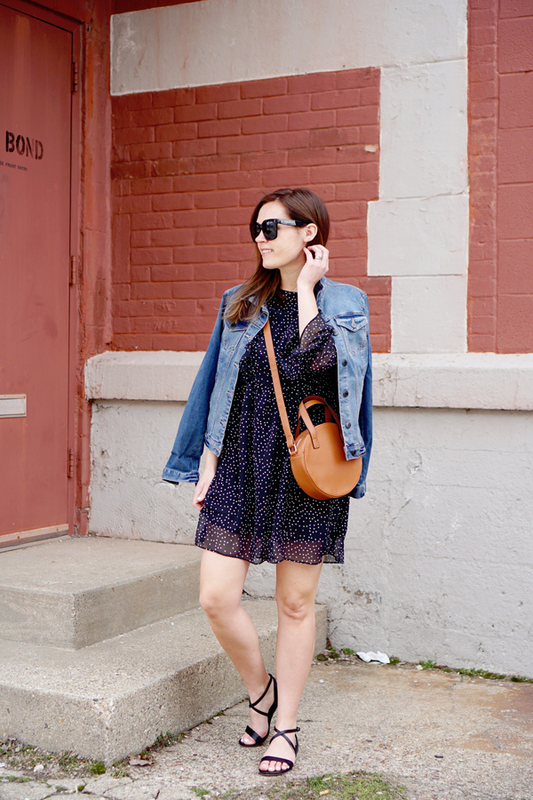 Today I am partnering with Walmart again to show off some of their SUPER cute spring must-haves including this dress, this denim jacket & circle bag (which you already saw here!) and a simple pair of sandals that I love! I am continually impressed by the quality of Walmart pieces these days... I love that they stock adorable and affordable pieces like this dress (or this one!) but also have big name retailers like Lord & Taylor to bring in that high/low mix. You can easily shop all the best spring trends here or trends for the entire family here. Oh, and did you know about the FREE 2 day shipping for orders over $35? LOVE that. These days NO one wants to be waiting my the mailbox for days and days for an order. 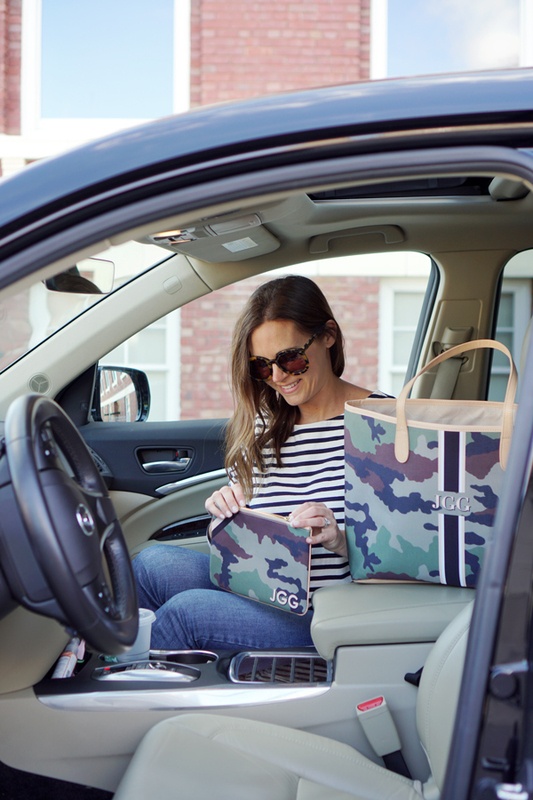 It's all about quick deliveries for us busy moms! 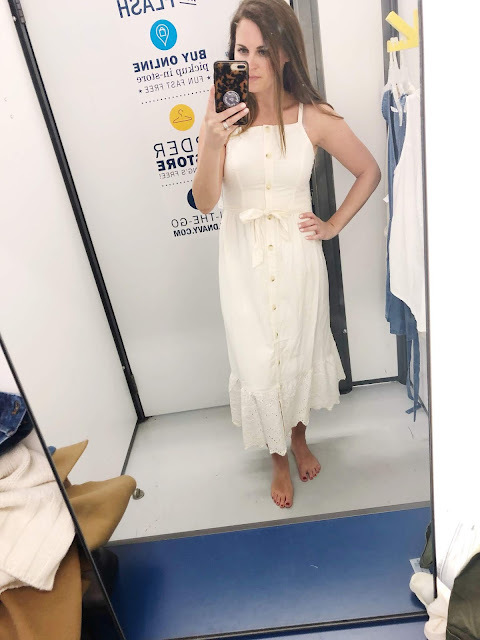 I also linked to some other fun and super affordable dresses below exclusively at Walmart .. there are so many cute options. Denim Jacket - under $20! Time for another Old Navy try on session... I have to say that probably my MOST favorite season to shop Old Navy is for spring/summer. Basically they slay warm weather wear. Would you agree? Likely it's because fabrics tend to be more lightweight (read: less expensive), I crave fun trendy pieces (Old Navy does trends very well) and items like shorts and tanks that get heavy wear during hot months are so inexpensive to stock up on. That's just my theory! Today I found a few fun pieces for spring that I think you will like! Read on for what was a winner and what was just so-so to me and also my commentary on sizing and fit. above: How cute is this skirt and this tee together? PERFECT for everyday summer wear and this skirt is a great alternative to shorts in the summer. I went with my usual size 4 in the skirt, it's got a little stretch so it's going to be so comfortable for summer. 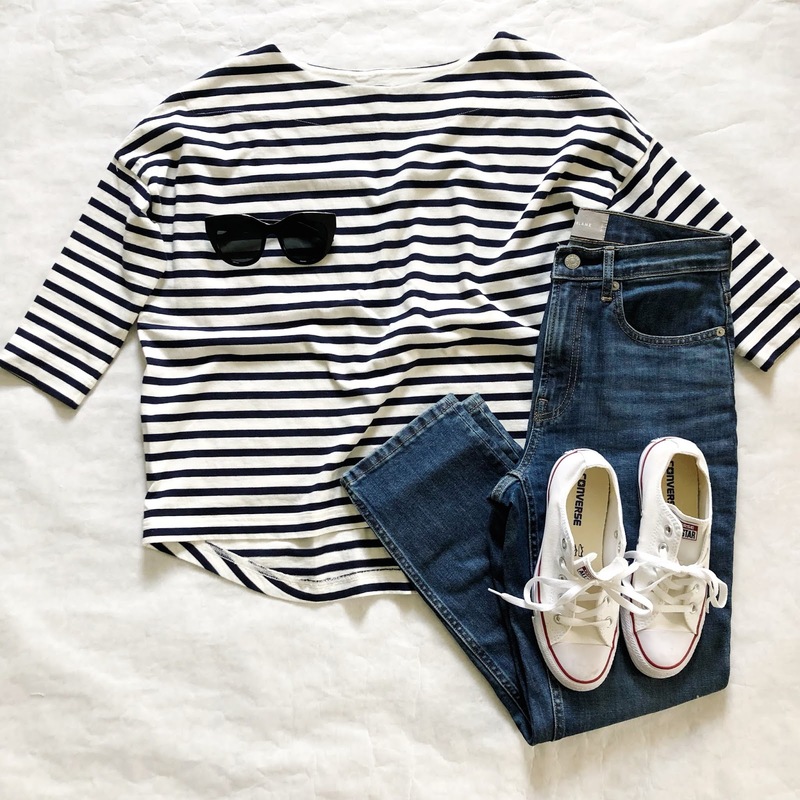 I always love adding a few new basic tees to my summer wardrobe. This grey one is perfect and SO soft. Here I showed how you could go tomboy-ish with sneakers or go a little dressier with black sandals. 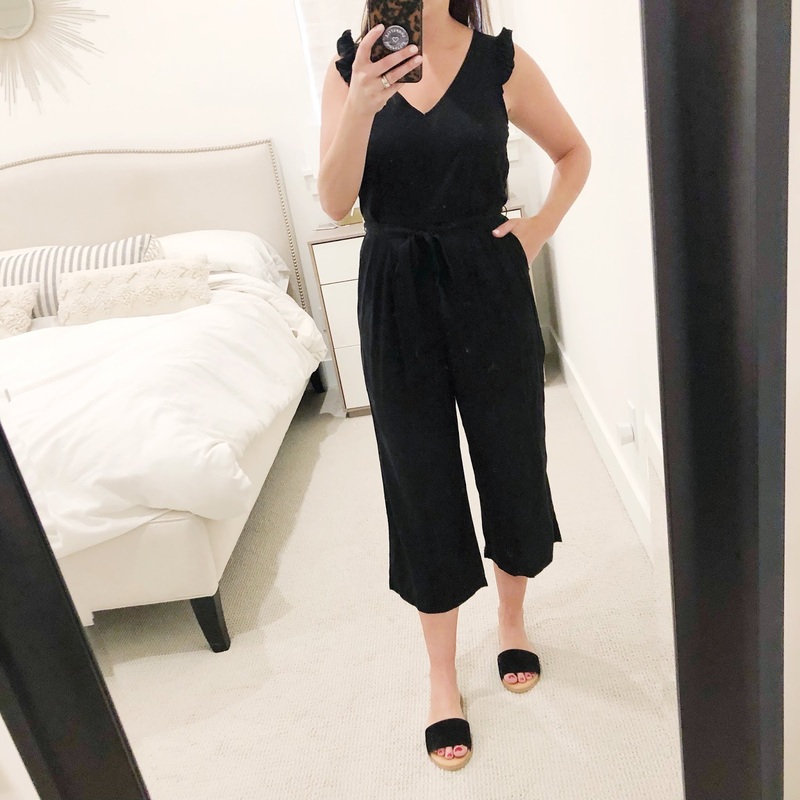 above: This jumpsuit was a "miss" for me but I wanted to show it to you because it is quite cute and the fabric is very soft and comfortable. I am in a size SMALL and the top is still quite tight on me. I do think it's fun with some wedge espadrilles like I showed here. above: This dress is a BIG WIN for me. I just LOVE the long sleeves and I love that the dress is fitted but not TIGHT. I went with a size SMALL - which is my usual size at Old Navy but is sizing up for how most dresses at ON fit me. 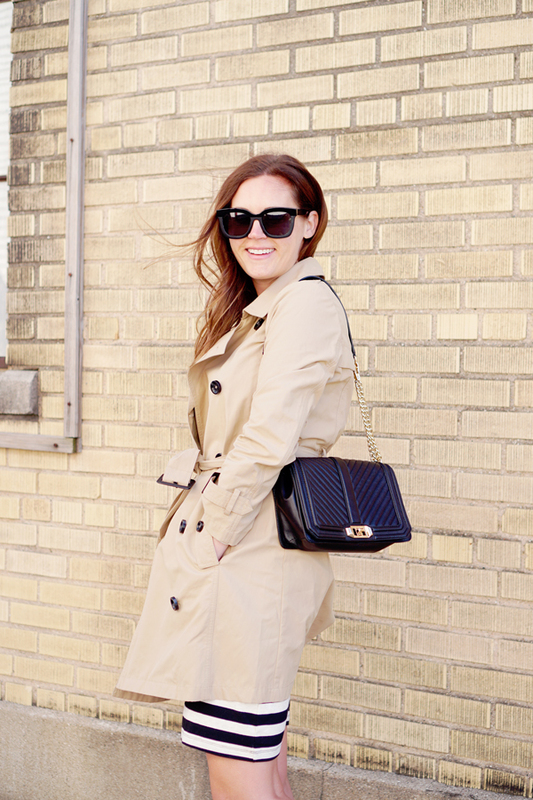 Stay tuned for a fun post where I style this three ways for spring. This is going to get TONS of wear from me this season I can tell already! 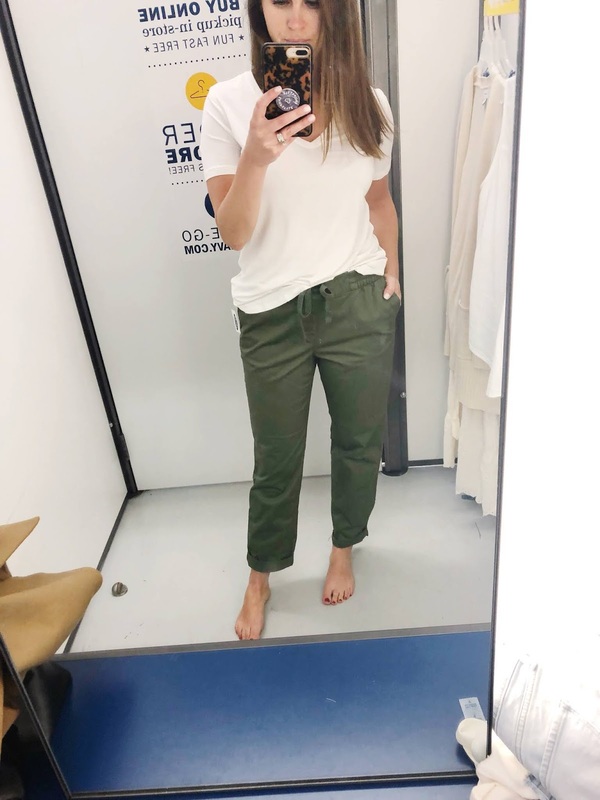 When I had a few returns to do at the store I tried on a few more items... our store does not have near the selection as online so I wasn't able to find many things - but here are a few items I liked! above: These are another wash of the Power Straight jeans that I love so much. It's hard to see here but they have a fun chewed hem. Also this cotton sweater was SO soft! I am wearing a size small here but I think it would be cute oversized too... so you could go up a size. There are TONS of color options too... so this is a fun way to add a pop of color to your wardrobe this spring. above: I've seen a couple of other bloggers try this dress on so when I found it in store I was excited to try it too. It's GORGEOUS. Sizing was limited so I had to try on an XS when really a SMALL would've fit better. You can probably see here that it's quite snug on my chest. 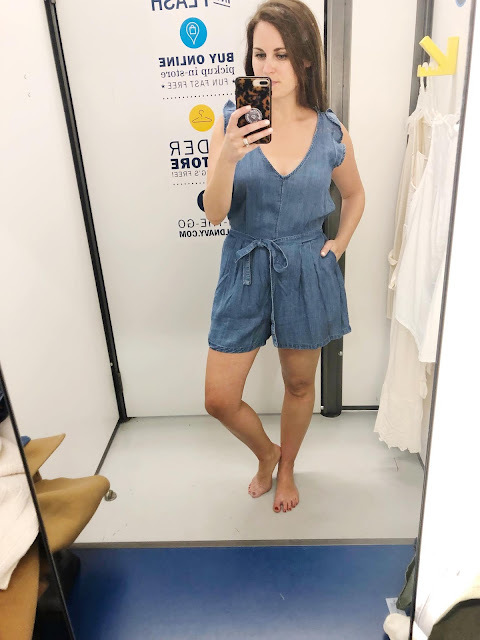 above: This chambray romper is the same style as the black one above but in a short style. I personally don't love this style on me. But the fabric on this one is super soft and drapey that it's worth showing. above: Lastly I randomly found these chino joggers... again, I don't think this exactly a style that I would wear a lot but I wanted to show it because they are pretty cute! I went DOWN a size to size 2 because they were quite oversized. 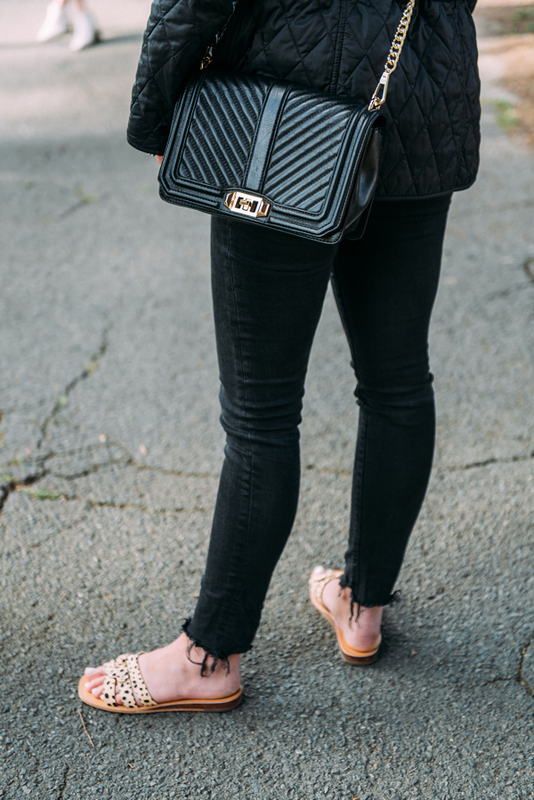 my everyday style: my new "mom" bag! This post is sponsored by Barrington Gifts. All opinions are my own. Thank you for supporting the brands that support this blog. It seems that from the moment we find out we are pregnant us moms are already thinking about what bag or tote we will be using to haul around "baby stuff." Then the "baby stuff" turns into "kid stuff" and after that it's like we are always carrying around someone else's stuff... for the rest of our lives. Haha! Or so it seems! 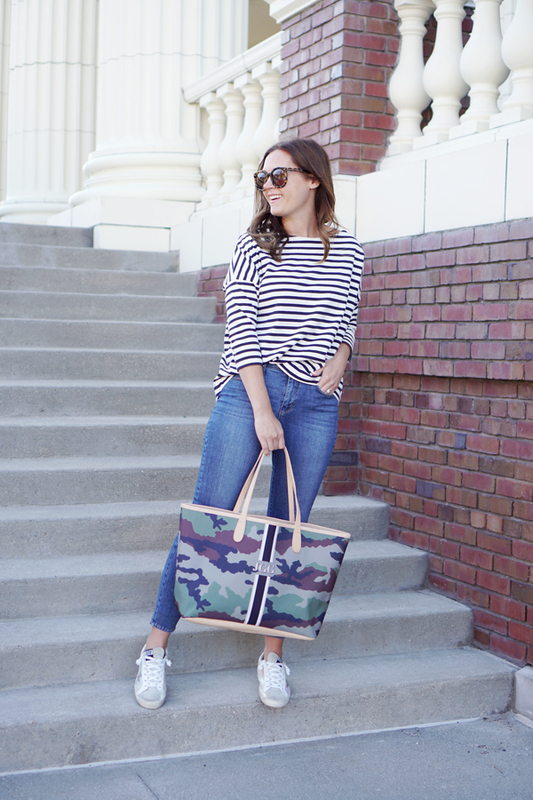 I love a cute cross body bag, a satchel is stylish and fun but I am forever a tote gal. Must be the mom in me. 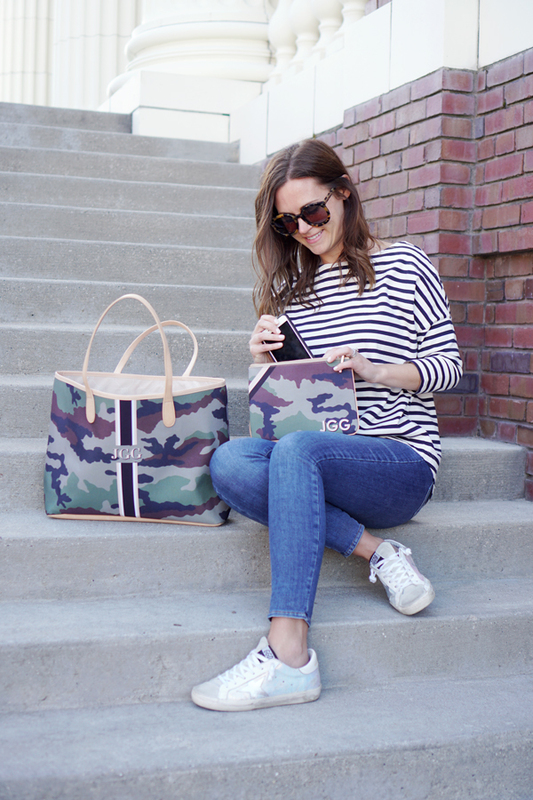 Once a tote girl, always a tote girl. And thanks to Barrington Gifts I think I just found my new and all-time favorite "mom tote" - I mean, isn't she a cutie!?!? Plus, who isn't a sucker for a monogram!?!? 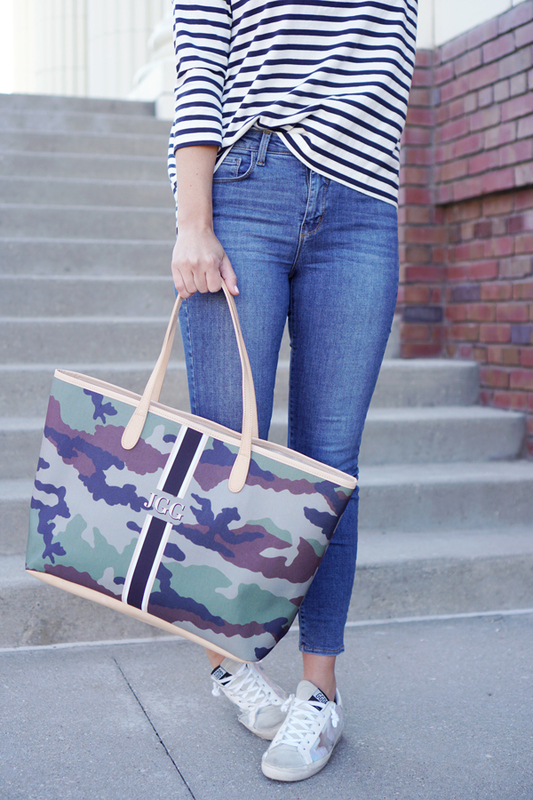 Here's the deal with this Barrington tote... it's 100% customizable! Yep! You can choose from tons of fabric options, leather accents, there are some really fun color and details options for the stripes and then you can really go wild with the monogram with so, so many font and color options. It's actually pretty addicting to spend some time on the site dreaming up concoctions! It's like the salad bar of handbags... and you will FOR SURE want to go back for seconds. 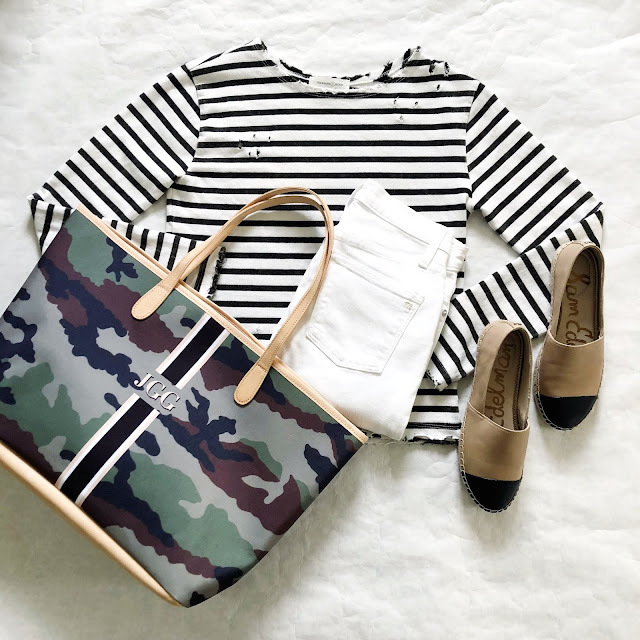 I chose the camo print with the light leather accent, then added a black and white stripe and a JGG monogram for my tote. Then I also chose a little zipper pouch - which is so convenient for keeping your phone, lip gloss and keys in so they don't get lost in a large tote. For the zipper pouch I chose similar fabrics with a bit different monogram to mix it up! Now that spring is here spring sports season is in full swing for my kids... that means lots of time in the car, weekends on the go and lots of miscellaneous stuff I have to carry around like books, sunscreen, snacks, water bottles, etc. I love that this tote fits it all!